Although Homosexual Desire, first published in French in 1972 and in English in 1978, has become a classic in gay male theory, no full-length study of its author, Guy Hocquenghem, has been available in English until now. 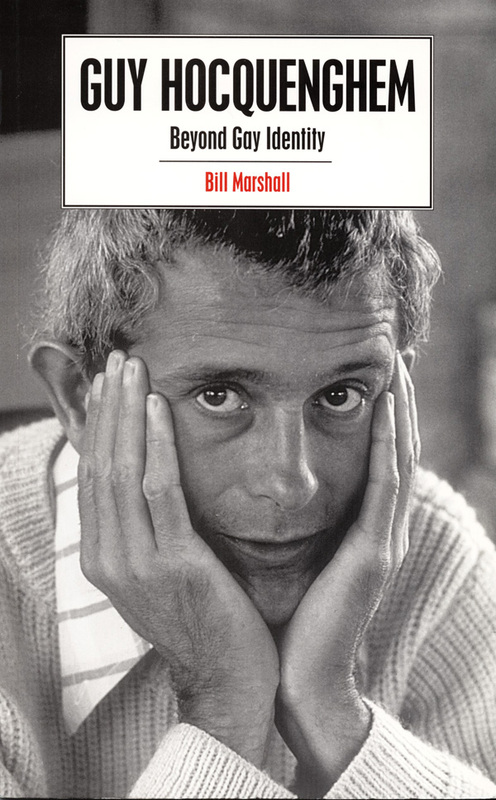 From the rise of the international gay liberation movement of the late 1960s to Hocquenghem’s AIDS-related death in 1988, Bill Marshall discusses the arguments and impact of Hocquenghem’s theoretical and political work while situating this work in its biographical, historical, and intellectual contexts. Marshall explores all aspects of Hocquenghem’s writing—journalistic, theoretical, and fictional—much of this work still untranslated. His consideration reaches beyond the aftermath of the events of May 1968 and points toward the ways in which Hocquenghem’s work might invigorate contemporary debates on a range of issues in Marxist and queer theory and in gay, lesbian, and cultural studies. These include the construction of homosexuality in social discourse, the status of "identity politics," and the role of the state and civil society in the determination of each. Demonstrating Hocquenghem’s importance within the framework of French leftist thought, Marshall links him to his contemporaries Foucault, Deleuze, and Guattari. Tracing his connections to the intellectual traditions of Benjamin, Diderot, Fourier, Lucretius, and Gnosticism, he also illustrates Hocquenghem’s place within the European intellectual tradition.Guy Hocquenghem brings an important, challenging, and overly neglected French theorist back to the main stage. Bill Marshall is Senior Lecturer in French at the University of Southampton.